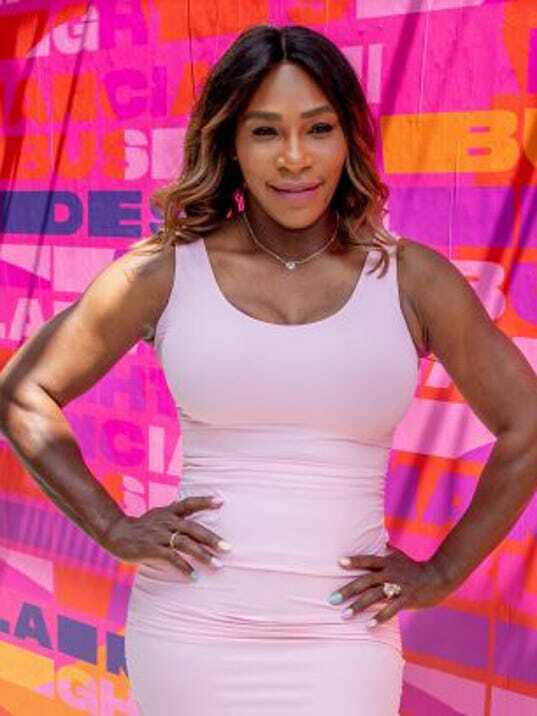 Tennis legend Serena Williams has shared a lot of her personal life with the public over the last year: From telling the meet-cute story of how she met her husband Alexis Ohanian, to candidly discussing her post-partum scare following the birth of their daughter Alexis Olympia Ohanian Jr., and chronicling the hard work it has taken to return to tennis as a new mom in the HBO documentary Being Serena. A strong advocate for equal pay in sports and beyond, Williams has also emphasized the importance of women being in control of their financial lives, especially in the face of racism, sexism, and career uncertainty. Now, in her role as a program ambassador for the Allstate Purple Purse Foundation, she aims to expand awareness about the impact of financial abuse on victims and survivors with a wider community. Part of her work with Purple Purse involves explaining what financial abuse actually is: the limiting and controlling of another person’s access to money, which can make it incredibly difficult to escape an abusive relationship. Research from Allstate indicates that “financial abuse is present in 99% of cases of domestic violence” — but six-in-10 Americans “doubt their loved ones’ ability to recognize if they were in a financially-abusive relationship.” Williams talks about how this becomes especially problematic for women in abusive relationships. Money is already such a taboo topic that can inspire feelings of shame; layer the isolating, dangerous context of abuse (the most dangerous time for women in abusive relationships is when they leave) and secrecy seems like an inevitability. Fifty-five percent of respondents in an Allstate Foundation survey said they had either been a victim of financial or domestic abuse, or knew someone else who was. The issue “ranks on par” with such concerns as poverty, terrorism, and drug and alcohol abuse, but most people had no idea how to detect it in relationships, or help if they recognized it happening. But Williams says it doesn’t have to stay that way. Since 2005, Purple Purse has focused supported survivors by providing job training, financial literacy services, and funding grassroots organizations; they also have a guide on how to talk to someone experiencing abuse. Last year, the organization worked with their previous ambassador, actress Kerry Washington, on a limited edition bag whose sales were all funneled to nonprofits serving domestic violence victims and survivors. This year, Williams helped roll out the first of six “Instagram-able” murals created by femle artists, which engage the public on the issue. The first, by Isabel Castillo Guijarro, will be shown in NYC through the week of July 16. To find out dates for the debuts of other limited-run murals in Houston, New Orleans, Chicago, Seattle, and Los Angeles, go to the Purple Purse website. Next articleThis gadget can see if your food is spoiled but does it actually work?